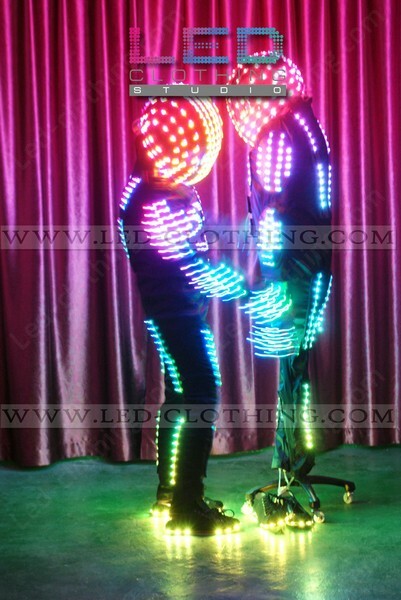 Astronaut Robot Smart LED dance costume | LED Clothing Studio Inc.
Sheathe yourself in our Astronaut smart dance LED costume and rise to stars! 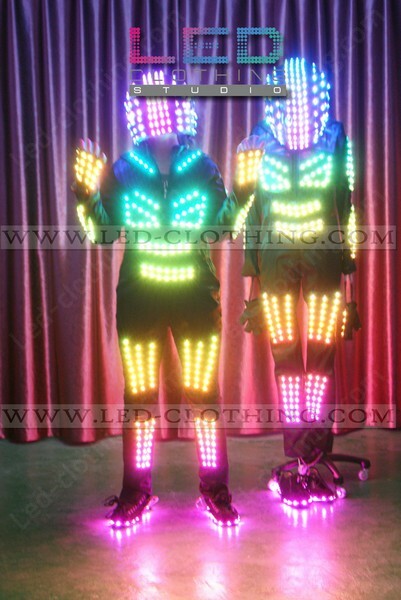 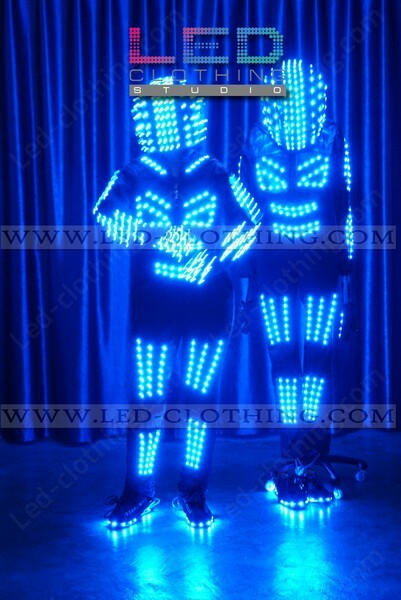 Designed specially for dancing troupes this Astronaut LED dance outfit features over 500 shockproof ultra bright LEDs, which can be preprogrammed to glow in multiple patterns with no limit to fantasy. 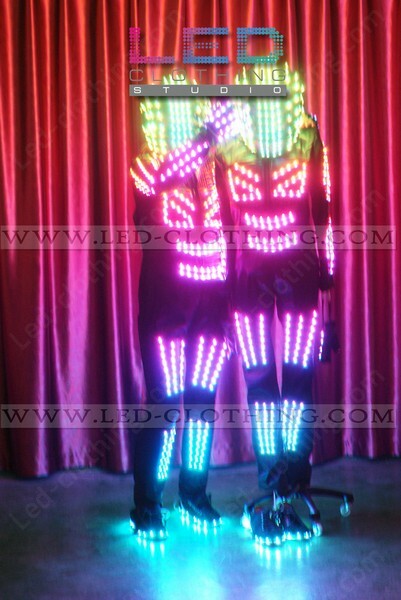 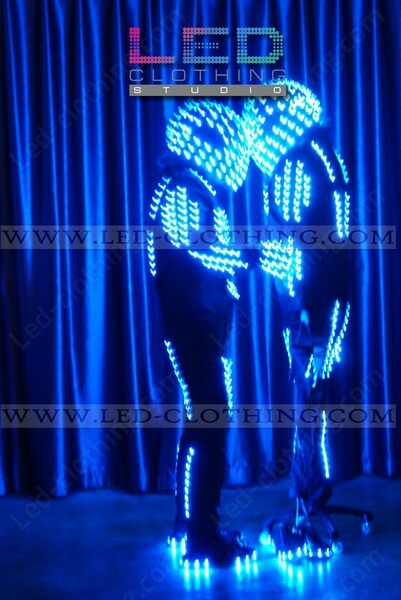 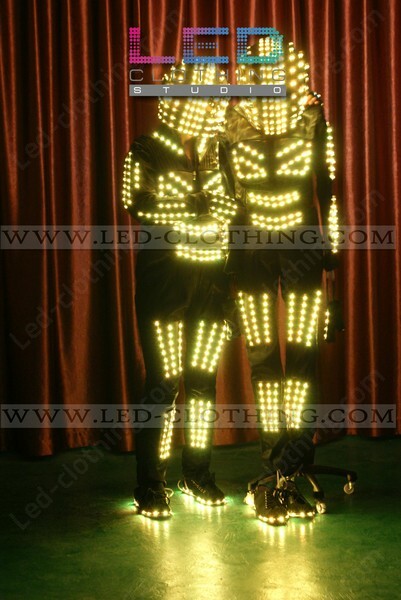 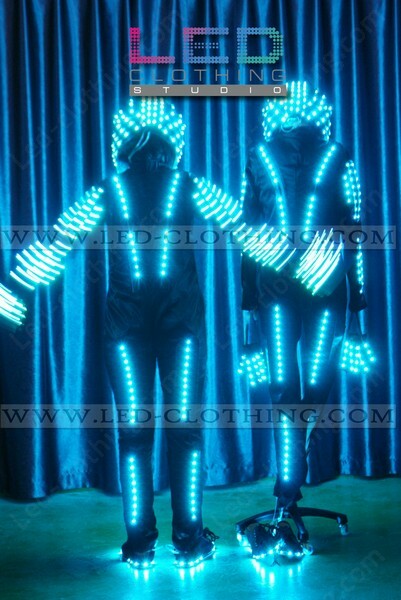 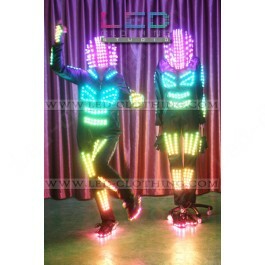 Astronaut smart LED dance suit features a formidable LED helmet, LED shoes and long sleeved jumpsuit. 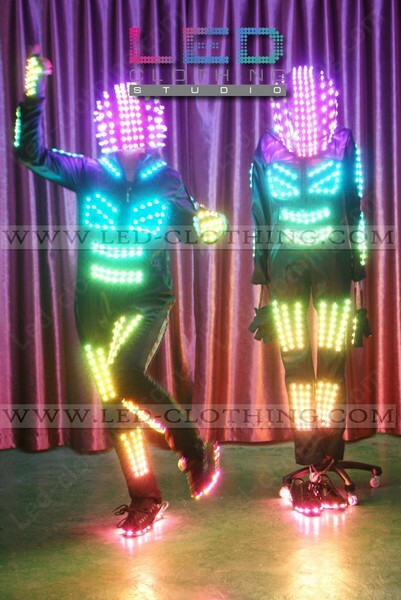 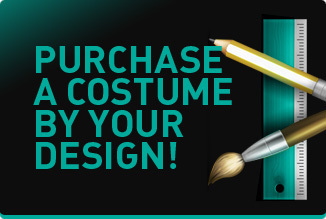 Quite a number of light effects patterns is coming along with Astronaut LED dance costume, match your music with your light pattern easily using the latest software.